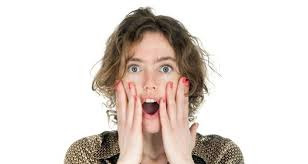 Does your Dental Website scare people away? Dental websites can be very scary especially when they look like they are from the turn of the century. Technology changes so fast that your website may look dated only after a few years. Your website may be especially frightening if you use dated font type, small photos, mundane colors and small, sparse copy with unstructured formats. These dated sites convey that you are behind the times and probably also have a dingy waiting room & operatory’s, use old equipment and materials that will lead to subpar treatment and may also be painful. These types of old sites need more than a fresh skin to update their appearance; they almost guaranteed to have old technology that needs to be updated so your website can be easily found. You have a dead website if your reader can't make an appointment or leave a review and has no way to engage in conversation with you. If your dental website is void of videos, blogs, share buttons, social media sign ups, contact forms, and live chat windows. Yes, some of these features can be annoying if overused but effective at engaging a new prospective patients. If you have no way to engage and or capture leads you don’t know who is coming to your website and you will never be able to nurture them to become patients, gather contact information to reach out to them or tract the terms, pages and topics that interested them. This way you know what content to produce more of to keep them coming back. 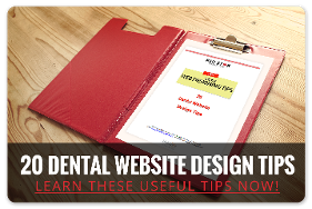 Does your dental website scream for attention with all kinds of pop ups and flashing promotions? If so, you are trying too hard to get people’s attention you are underestimating the power of inbound marketing to attract people to your website interested in your services. Most people are looking to get quick answers to their questions and are disappointed if they can’t easily navigate the site and quickly find what they need. They are even more turned off by a site that is trying to sell them something. Especially if it is confusing, with lots of offers, price burst and slick market speak. Particular bad are pop ups with annoying graphics, moving icons and loud, repetitive sounds. Not only is it a disappointment it makes your site untrustworthy. 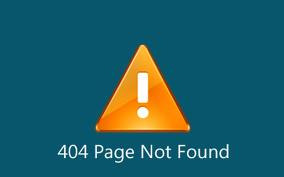 You are led down a dead end not being able to find what you want, or clicking broken links that appears as “404 not found errors”. If so, you are missing the main reason people come to your dental website, to get information. If you are providing them with long, technical explanations or superficial, fluffy content that provides no answers, you are alienating your reader. Check all your links to verify that they work and go to the correct place. Nothing frustrates a reader more than when they can’t easily find the information they want. It can be simple things like hours of operations, credit or insurance acceptance, and a full range of services you provide. If the links are broken and error messages appear the prospect may quickly bounce out to a competitor and you will lose your chance of them becoming a patient all together. As you can see your website can be a pretty scary place for someone if you haven’t updated it for ten years, they have no way to read reviews or set or request an appointment with your practice, are full of annoying promotions without basic information they want and need and lastly, are hard to navigate with broken links.